Natural, warm looking hardwoods will make the addition of wood flooring the focal point of any home improvement upgrade. Finding the right company to perform your upgrade is the easy part with Flooring Service Group. We offer hardwood flooring in Duluth, GA and the surrounding areas from an experienced design team that knows the industry well. Our designers use state of the art techniques in installing new wood floors, or refinishing existing ones. Whether you're looking to sand, stain and refinish your master bath or looking to completely replace the floors in your home, Flooring Service Group is here to help you every step of the way. With almost a decade of experience, we strive to provide you with the top hardwood flooring Duluth, GA has to offer! While a soft, high count carpet can feel wonderful on your feet and looks good initially, that feeling is soon lost after stains start to appear. Carpets are made of loose fibers and will retain bacteria, mold, stains and germs ? even after cleaning. Spills on hardwoods are simply wiped up with no harsh chemical and no residue. Not only can carpets get permanently stained, they can also harbor pet dander, pollen and lots of allergens that can keep you or your kids constantly suffer breathing problems. There is no risk of trapping allergens in a hardwood floor, as they are made of a solid, sealed material. Overall having hardwood flooring is a healthier option, providing you with a clean, green and beautiful floor covering. Do you already have hardwood floors, but they've lost their luster or the color outdated? We can help. Our Duluth hardwood flooring team specializes in not only replacing laminate, carpet and tile, but we re-finish existing hardwoods as well. Our designers will come to your home, and evaluate your current floors to determine what changes may be required to suit your needs. We then will sand down your floors to the natural material's color to a level, smooth finish. Next our team will re-stain your hardwoods to the color discussed prior. 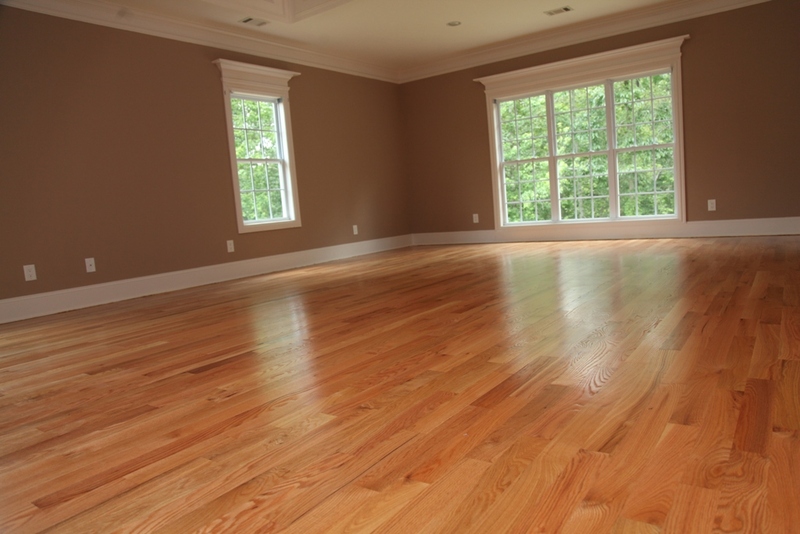 Lastly, we will coat the floors and make sure they are colored and polished evenly, to you satisfaction. With so many options and variables that go into hardwoods, let our designers supply you with the best solution to fit your home's current theme or help you come up with a new one. We pride ourselves on ability to beautify homes, one floor at a time. Give our team a call or fill out the contact us portion on the site and we'll be happy to assist with all of your hardwood flooring needs.